I’ve not made much Indian food, but one night I was majorly craving a sweet and spicy sauce and Tikka Masala was it. To be fair, there is a Indian restaurant around the corner and the smells coming from that block were extra delicious. 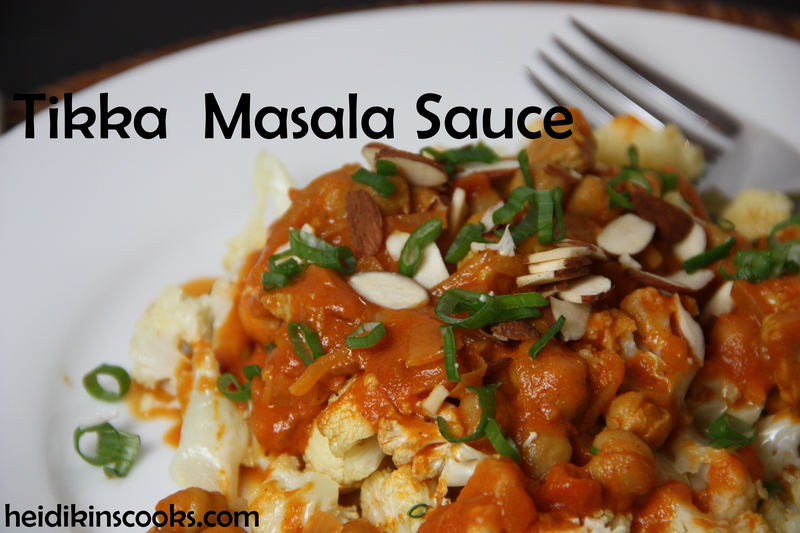 Spoon this amazing sauce on rice or roasted veggies. Melt butter in large skillet and just brown the meat. Add onion, garlic, ginger, and spices, stir about 5 minutes. Add tomato sauce and tomato, bring to a boil and add chickpeas, sugar, and whipping cream. Simmer 20-30 minutes, stirring occasionally. 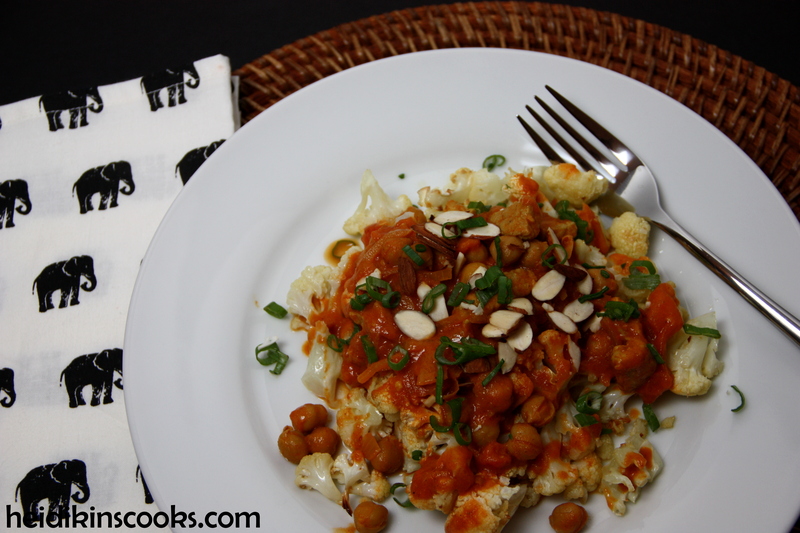 Spoon over rice or roasted veggies (cauliflower or Brussels Sprouts are quite delicious) and top with sliced almonds.